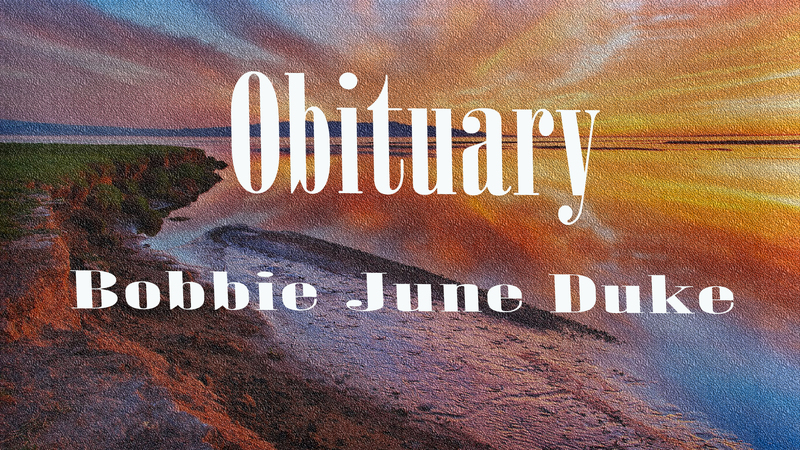 Graveside service for Bobbie June Duke, 80 of Hanceville will be 2 p.m. Wednesday, January 16, 2018 at Union Cemetery. Visitation will be from 12 noon to 1:30 p.m. at Hanceville Funeral Home. Miss Duke is survived by her brother-in-love, Sid Ernest and his sister Charlene Smalley. Also, her caretakers, Glenda Moses, Linda and Carlos Wilhite and the staff at Woodland Village Health Care.